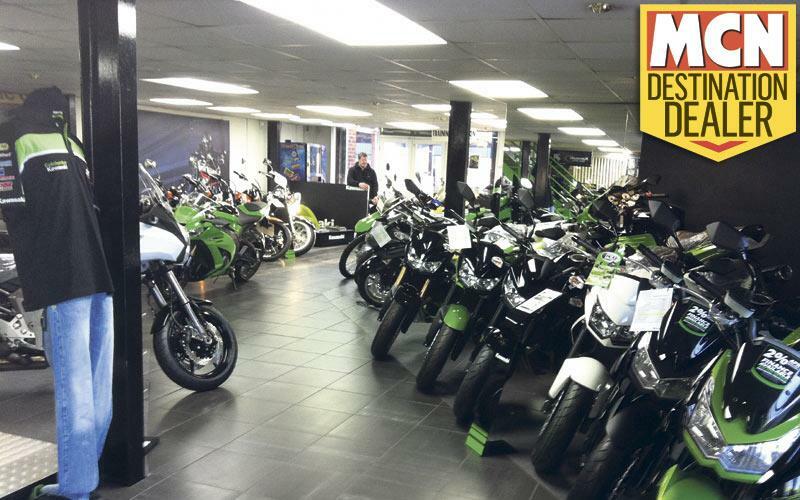 Motorcycles Direct, the group name for Lloyd Cooper Motorcycles in Watford and LidsDirect.co.uk, has now taken over ownership of Colchester Kawasaki making it the Number one Kawasaki dealer in the UK. They are also home to the official Kawasaki British Superbike team - MSS Colchester Kawasaki who have Michael Rutter (winner of 27 British championship races) and Peter ‘Hicky’ Hickman riding for them in BSB this year. Also riding for them in British Superstock is Leon Hunt and Sandra Stammova. Luke Gregory, Managing Director of the Motorcycles Direct group, says: "2012 is going to be the most exciting year for everything we do, whether it’s the excitement surrounding the new 2012 Kawasaki models - the ZZR1400 in particular – or hopefully seeing some podium finishes for Rutter and Hicky on behalf of the MSS Colchester Kawasaki race team in the BSB championship. "The fact that we have brought our award winning service department to Colchester Kawasaki is going to be great for East Anglian bikers." Motorcycles Direct are now able to service the whole of Essex and Suffolk through their Colchester Kawasaki premises, as well as the rest of the UK with the full Kawasaki range (including motocross bikes) and an outstanding level of customer service. In the past, Motorcycles Direct have won multiple awards, including MCN Dealer of the Year and Rider Power dealer accolades, and are keen to extend their high level of experience and customer care to Colchester Kawasaki. New to Colchester Kawasaki this year (dates to be confirmed) will be Sunday rideouts and a bike night which will launch on Thursday evenings throughout the season. Keep an eye on Colchesterkawasaki.co.uk or Motorcyclesdirect.co.uk for further information which will be announced soon.